Suburbs, Towns & Localities along route: Anderson, Kilcunda, Dalyston, Wonthaggi, Inverloch, Leongatha South, Leongatha, Berrys Creek, Mirboo North, Delburn, Driffield and Morwell. 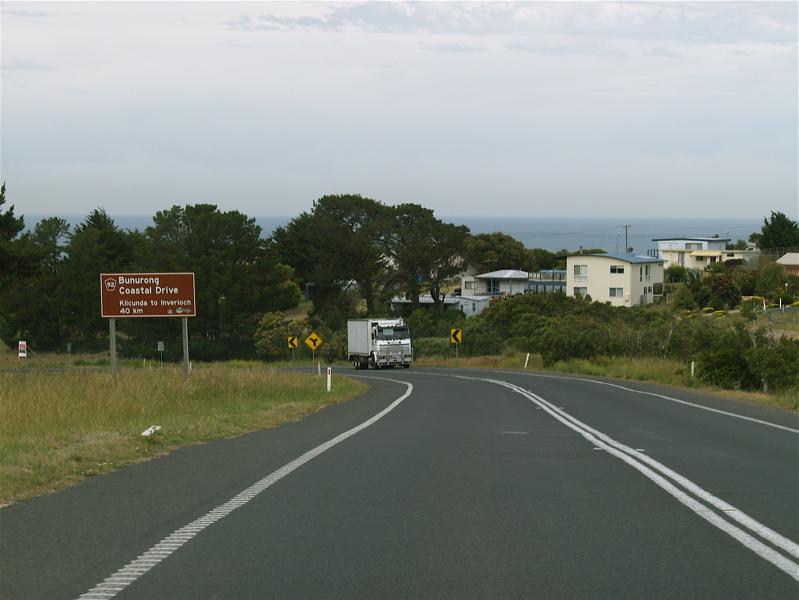 The Strzelecki Highway is named after Pawel Edmund Strzelecki, a Polish explorer who traversed South Gippsland in the 1800's. 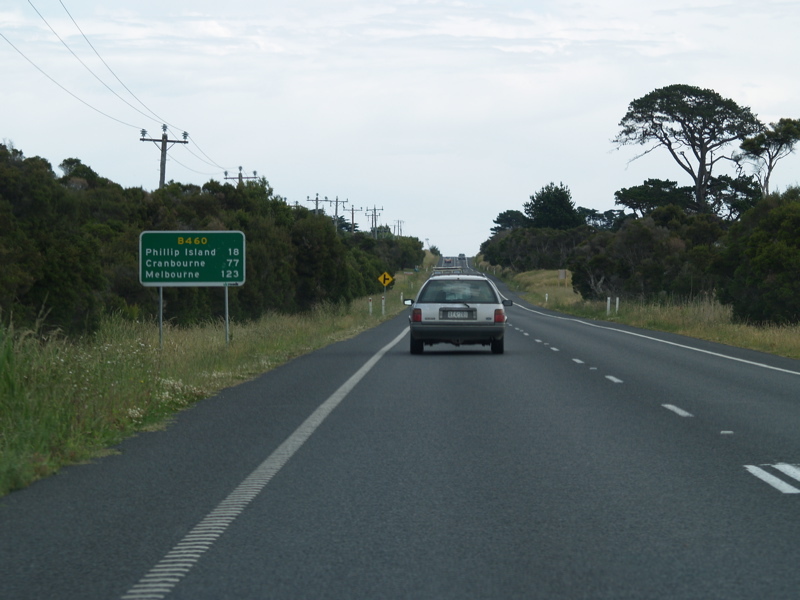 The Bass Highway is named what it is, because of its proximity to Bass Strait. 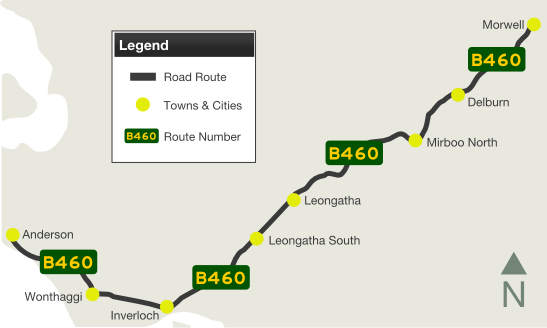 Bass Highway runs from Anderson to Leongatha, and the Strzelecki Highway runs from Leongatha to Morwell. 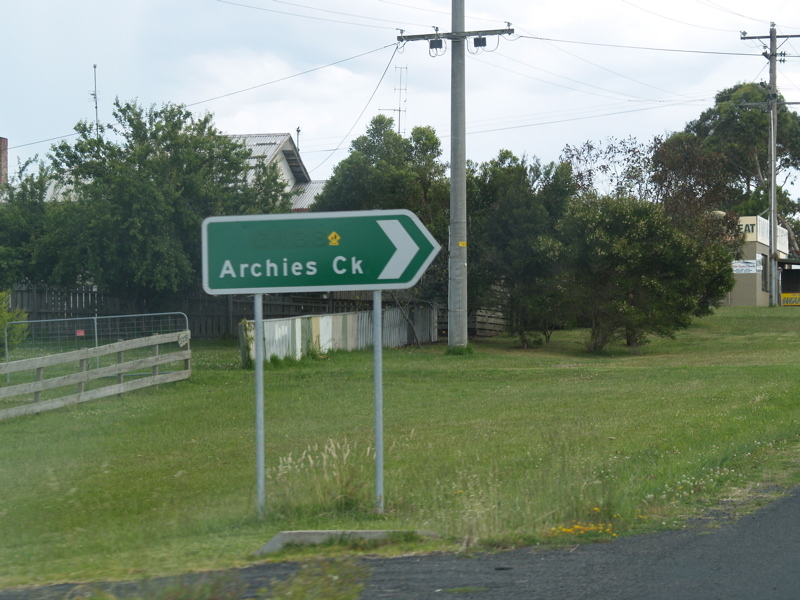 ID sign at Anderson after the Phillip Island Rd (B420) / Bass Hwy (A420) roundabout. November 2006. 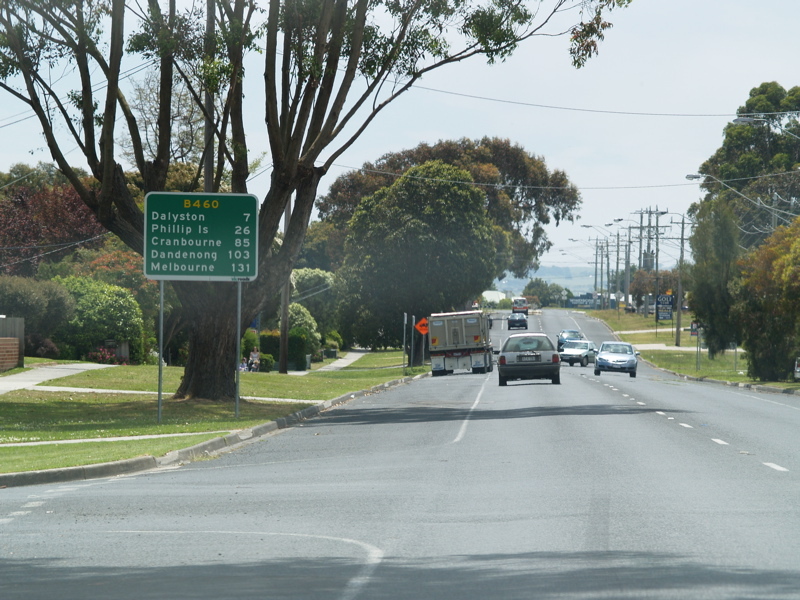 Advance directional sign on Graham St (C435) in Wonthaggi approaching the Bass Hwy (B460) (McKenzie St / Graham St) roundabout. November 2006. 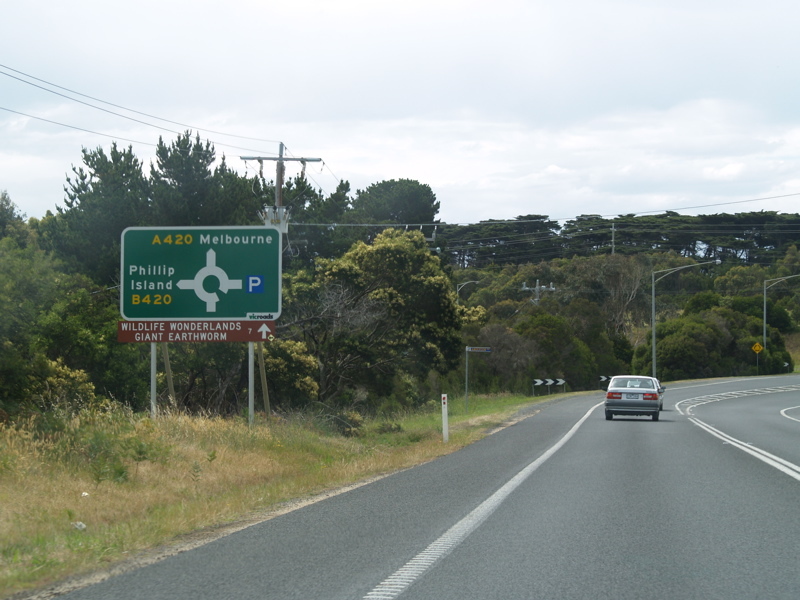 RD sign after the Phillip Island Rd (B420) / Bass Hwy (A420) roundabout at Anderson. November 2006. 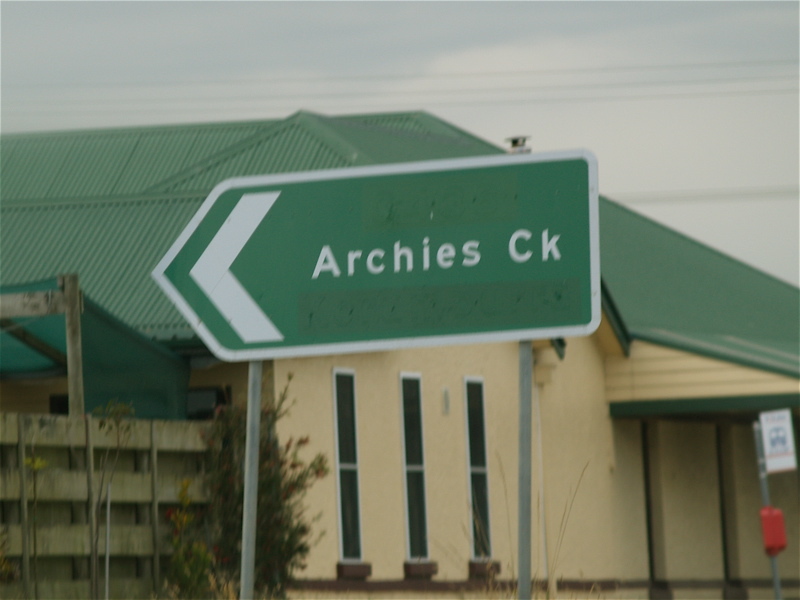 ID sign in the roundabout on the corner of Bass Hwy (McKenzie St) (B460) and Graham St (C435) in Wonthaggi, November 2006. Tourist sign at Kilcunda announcing the beginning of Tourist Drive 92. November 2006. 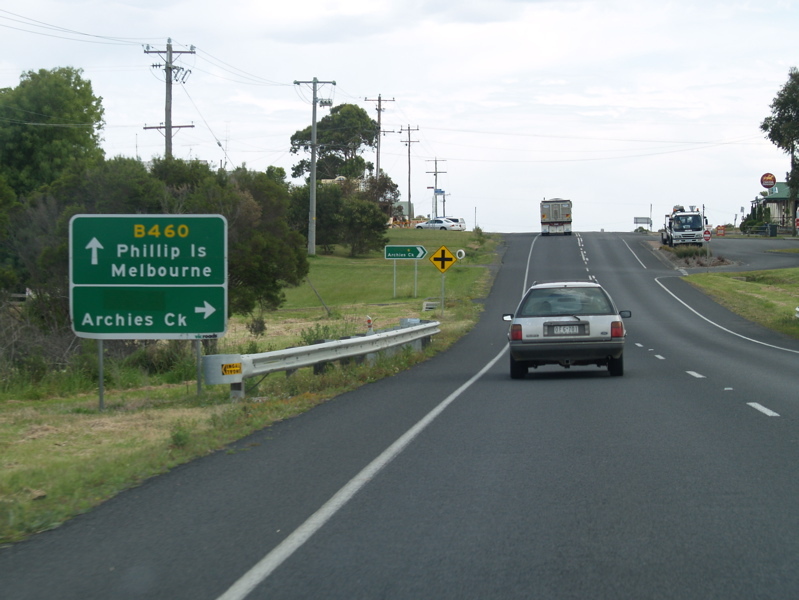 ID sign on the northbound leg of the roundabout on the corner of Bass Hwy (McKenzie St) (B460) and Graham St (C435) in Wonthaggi, November 2006. Advance directional sign at Dalyston approaching Dalyston-Glen Forbes Rd (former C438), November 2006. 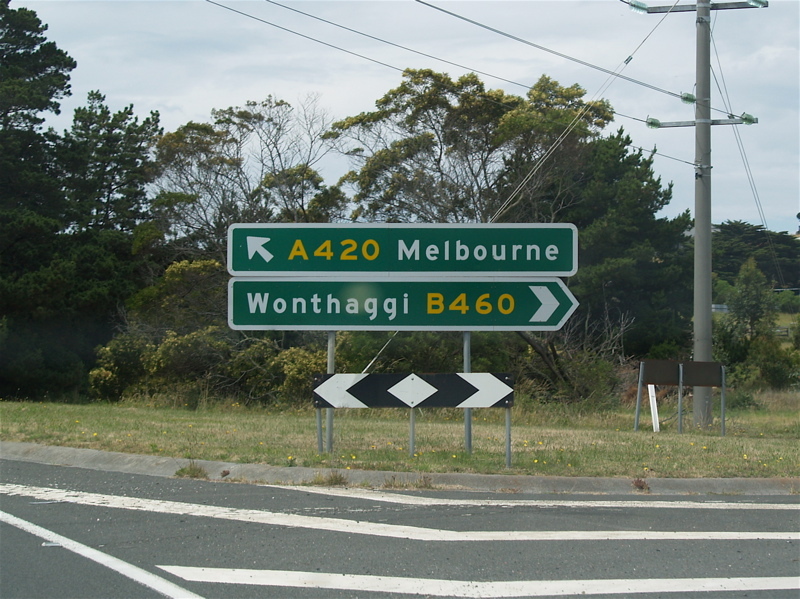 ID sign on the westbound leg of the roundabout on the corner of Bass Hwy (McKenzie St) (B460) and Graham St (C435) in Wonthaggi, November 2006. Intersection directional sign at Dalyston at the junction with Dalyston-Glen Forbes Rd (former C438), November 2006. 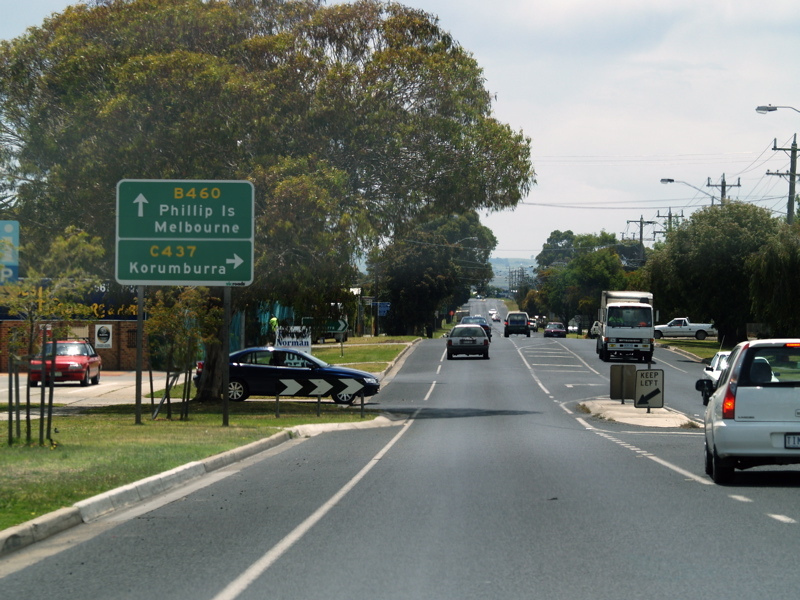 AD sign approaching Korumburra Rd (C437) in Wonthaggi, November 2006. 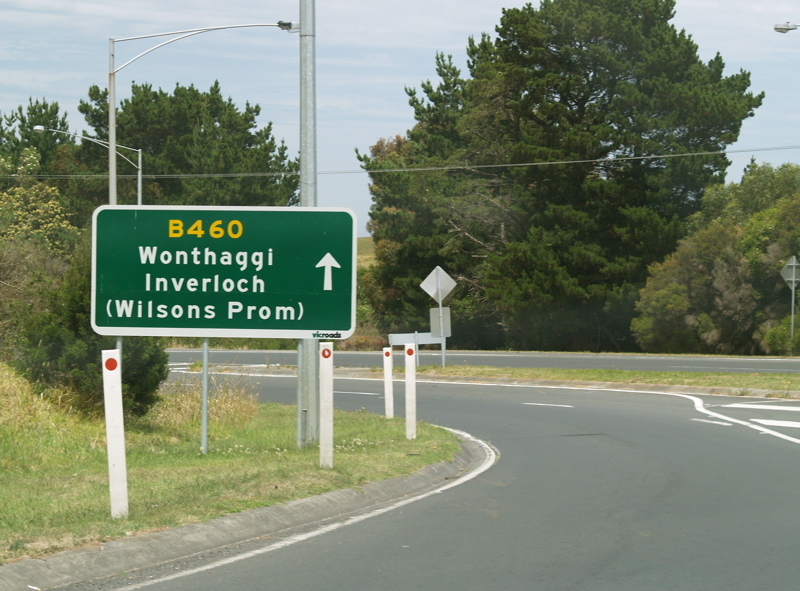 AD sign at Wonthaggi approaching Lower Powlett Road. November 2006. 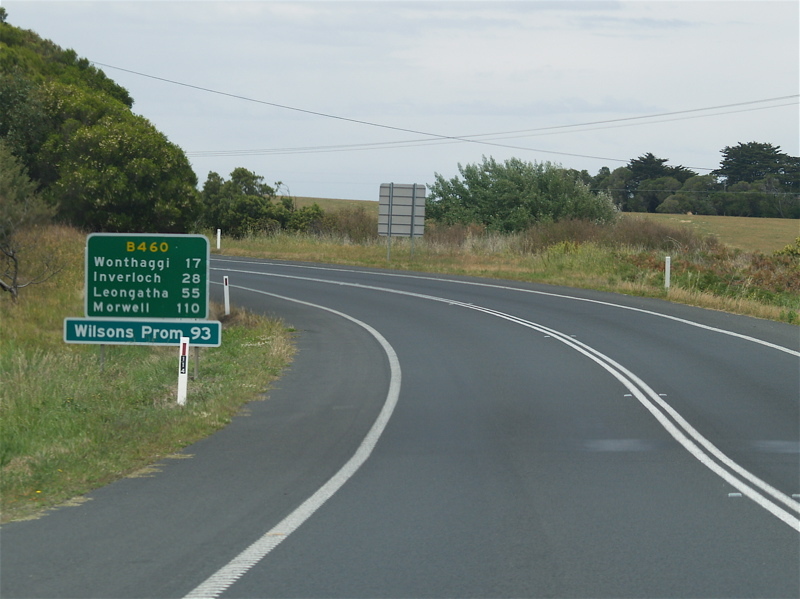 Corner of Bass Hwy (B460) at Korumburra Rd (C437) at Wonthaggi, November 2006. 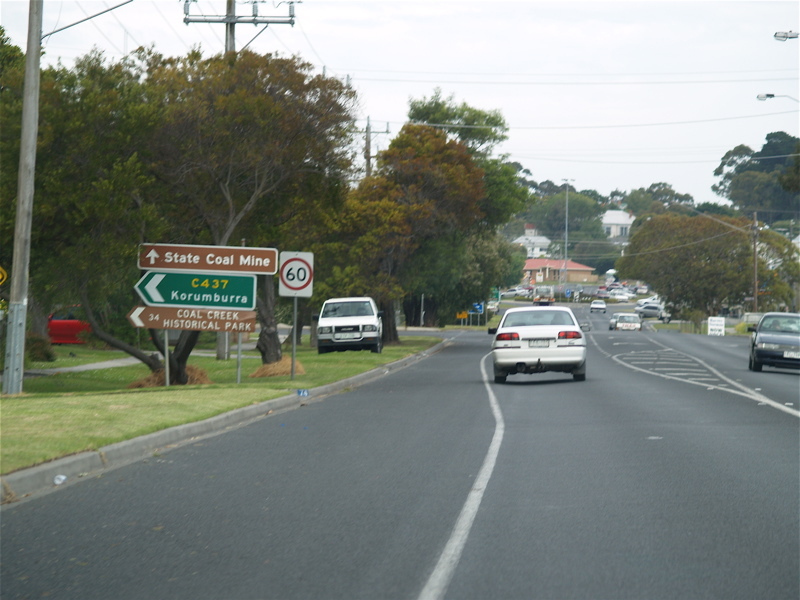 Corner Bass Hwy (B460) and Lower Powlett Rd in Wonthaggi, November 2006. 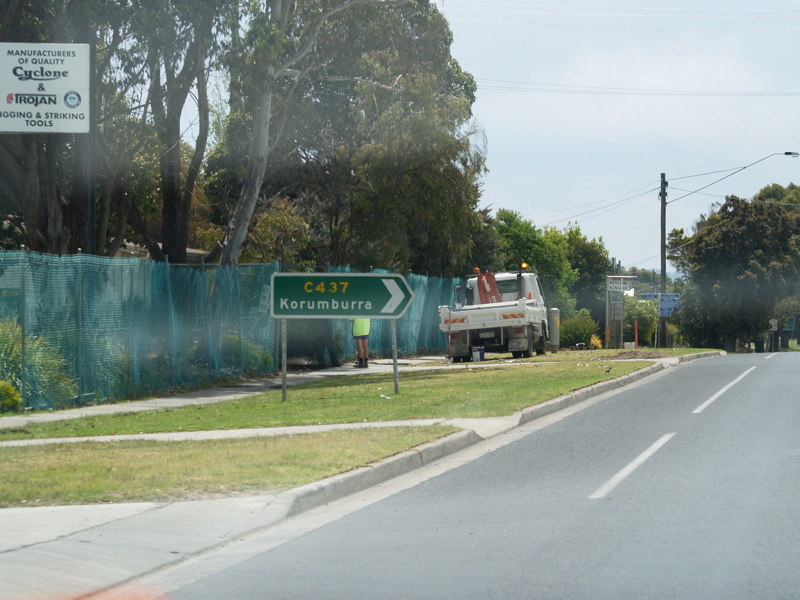 RD sign in Wonthaggi after Korumburra Rd, November 2006. 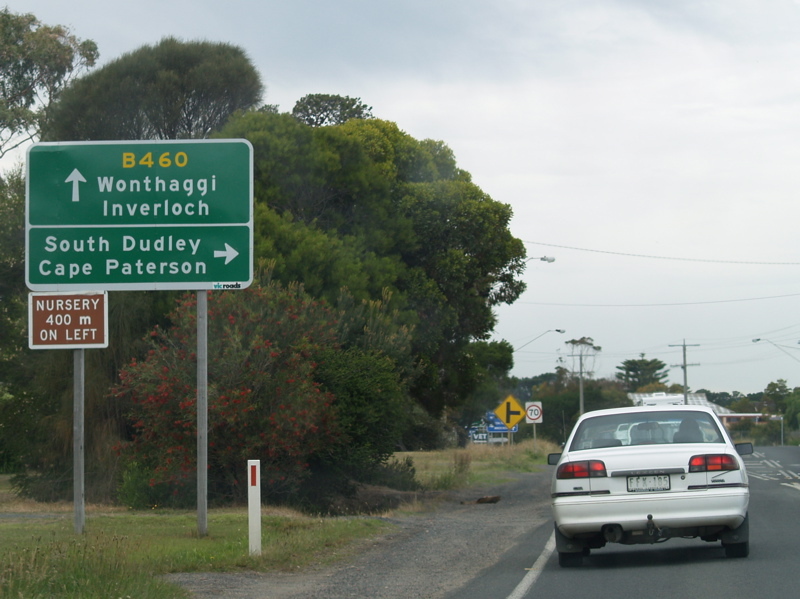 Advance directional sign approaching South Dudley Rd in Wonthaggi, November 2006. Reassurance directional sign as you leave Wonthaggi, November 2006. 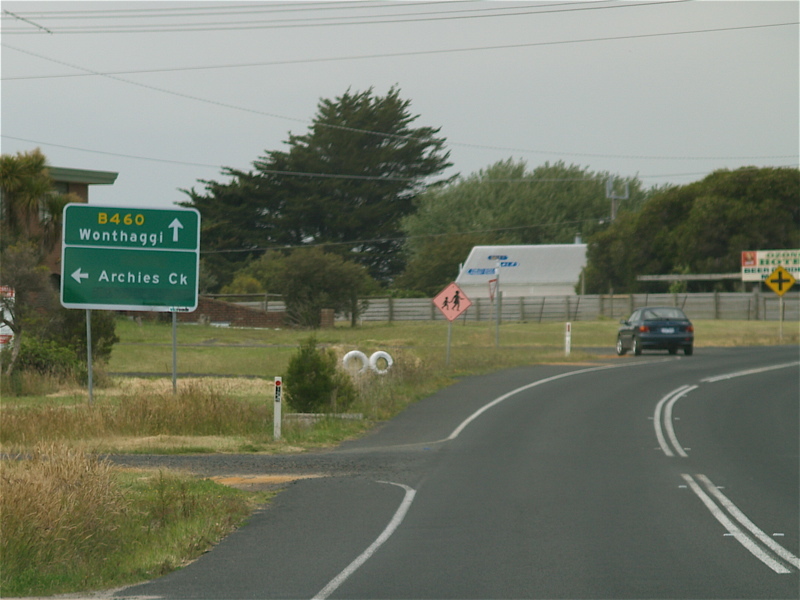 AD sign approaching the roundabout on the corner of Bass Hwy (McKenzie St) (B460) and Graham St (C435) in Wonthaggi, November 2006. 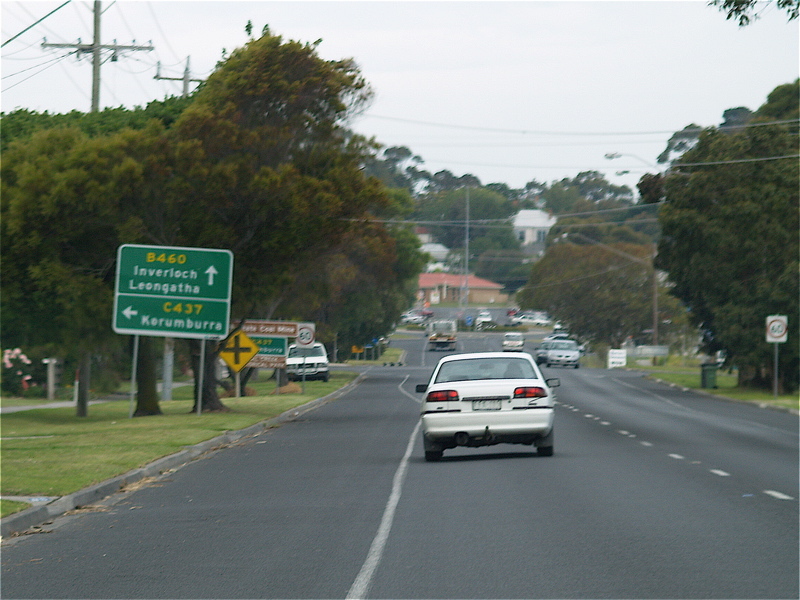 ID sign on the eastbound leg of the roundabout on the corner of Bass Hwy (McKenzie St) (B460) and Graham St (C435) in Wonthaggi, November 2006. RD sign as you leave Dalyston, November 2006. 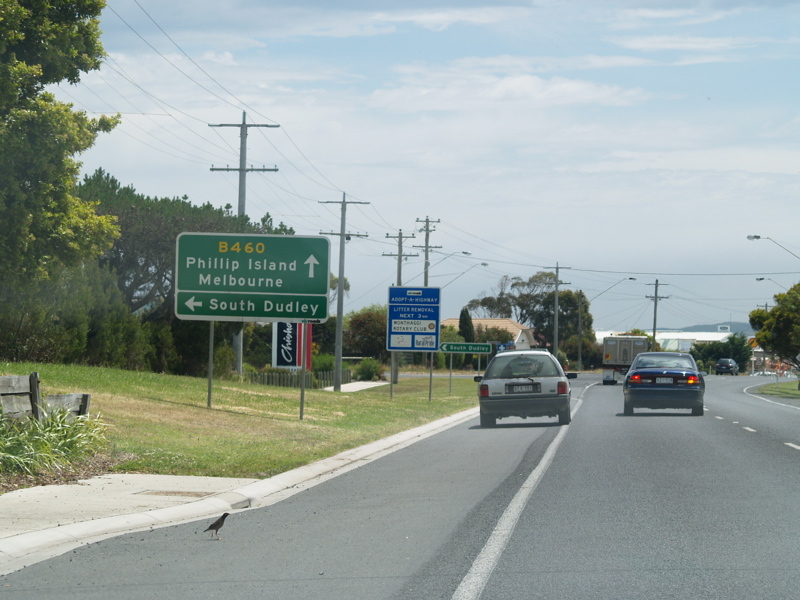 AD sign for the Bass Highway (A420) and Phillip Island Road (B420) intersection, at Anderson. November 2006. 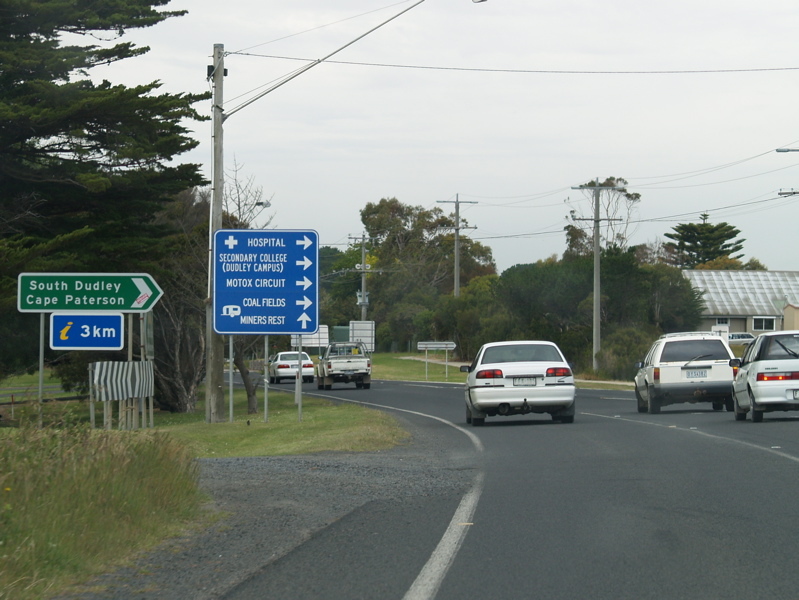 ID sign at the end of B460 in Anderson - the roundabout with Bass Highway (A420) and Phillip Island Road (B420), November 2006.